Shopping for Game of Thrones Pop! Vinyl Figures? Enemies to the East, West, South, and North. Will you defeat them? Choose your allies carefully. 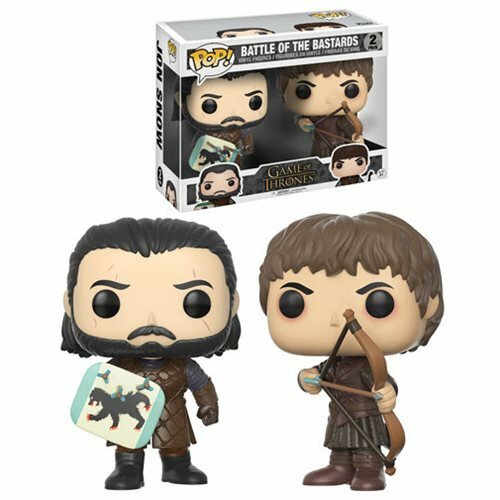 From HBO's hit series Game of Thrones comes this dynamic 2-pack featuring the Battle of the Bastards from the show's stunning 6th season. Packaged in a window display box, Jon Snow and Ramsay Snow go head-to-head in the race for Pop! Vinyl Westeros. Each figure measures approximately 3 3/4-inches tall. Ages 3 and up. The Ultimate Battle for Your Shelf!